Brucella makes the most of the Head Room Session space with her minimalist performance. The Zimbabwe-American pop singer is usually backed by layered tracks that highlight her signature sound, but this iteration has her backed only by acoustic guitar played by the dashing founder of Head Room Sessions—the one and only Matthew Shaw. The adaptation demonstrates Brucella’s pure talent. While her recorded tracks offer a more energized and dynamic sound, these low-key acoustic bars give us a softer and equally entertaining side to Brucella. “Want” is a soulful R&B track that captures the complications of love that’s outgrown the comforts of being new. Brucella sings about communication break downs, perceptions becoming distorted, and finding it difficult to get back to that good place it all started. Her lyrics create a dramatic tension that’s heightened by her ability to shift from smooth tenor to falsetto in an instant. Her vocals add dynamic shifts to the tone of the minimalist music backing, making for a sultry, chilled out song about the swinging pendulum that love can be. “Sorry” is softly sung apology between lovers. 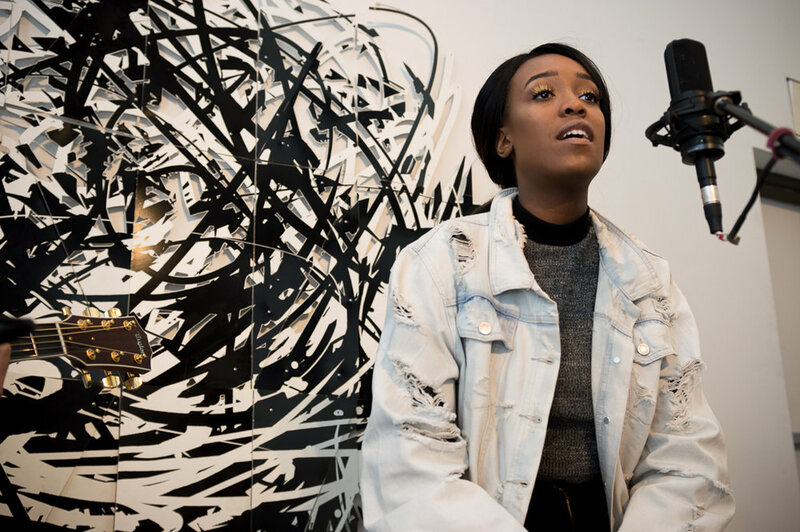 Soft beats on the guitar add a percussive element to the light singing that allows Brucella’s Zimbabwe-influenced R&B sound to come through with only acoustic elements. She has a knack for capturing the complications of deep love and vulnerability, and this song expresses a sincere understanding that love’s success can unfortunately be a matter of timing, and timing isn’t always on our side. With all of her music, there’s an experienced perspective that love is never simple, never easy, and she has the chops to deliver that message with an elegance of soul on any stage.